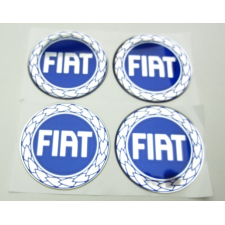 Set of 2 logos for on the key for Fiat Grande punto and Stilo, Punto, 500 II. Concerns a around logo of die cut aluminum, so no simple sticker, but a .. Flashing light fixture for mounting in the front fender for Fiat Stilo, Panda or Doblo. Concerns only the flasher glass, not the fittingdeel. 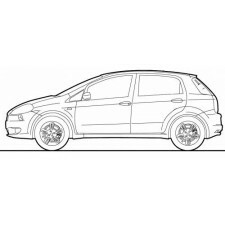 Left and..
Switch for the beniening of the indicator of the handbrake for Fiat Grande Punto and Punto Evo. The switch is on correct operation tested and submitte..
Repair Kit for ruitensproeiers long for Fiat Grande Punto and Punto EVO. Ideal to use to replace a leaky ruitensproeiers long. When you use the leakin..
Black rubber hand brake cover for Fiat Grande Punto and Fiat Punto Evo. The cover is in very good condition. no cracking or damage visible.Submitted b..
Rear light unit for Fiat Grande punto year of construction 2004-2009. The rear light is an unused new unit in original box. Relates only to the enclos..